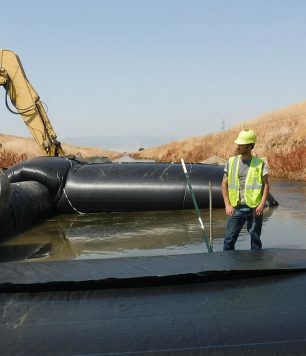 The AquaDam is a temporary water-filled barrier which can control and divert water. It consists of two flexible watertight inner tubes, side by side, contained within a woven outer sleeve. 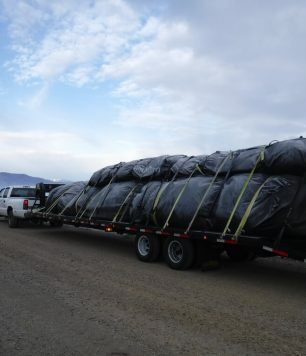 The inner tubes are filled with water, giving form to the AquaDam, and creating a temporary, highly-effective water barrier. 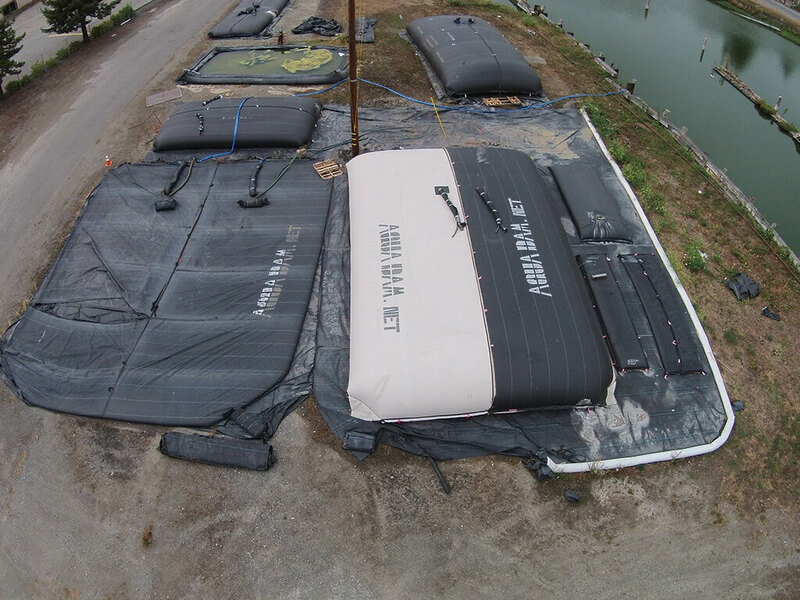 Eliminate the cost, time and hassle of filling, placing and removing sandbag barriers. 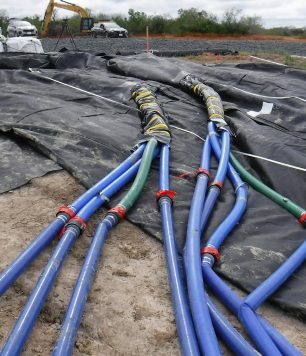 Installation time for water-filled AquaDam mainly depends on available pumping power. Most AquaDams are installed in a single day. Removal is a little more involved, but usually also takes about a day. AquaDams can be guided through turns, to conform to nearly any designed path alignment. After the job is done, removal is accomplished by flooding the work area, draining the AquaDam, rolling the AquaDam up in place, or pulling it up the bank where it then can be rolled up. Care must be exercised during removal operations. Reuse is common, but not guaranteed. This highly effective water-filled barrier will not only save you time and money, but will reduce your impact on the environment as well. The AquaDam was designed to conform to all the requirements of the Clean Water Act. 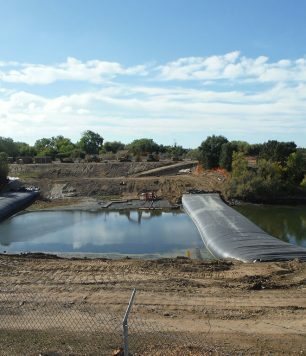 By eliminating the use of dirt/earth fill material, the potential for earth fill discharges into the waterway is dramatically reduced, if not eliminated. 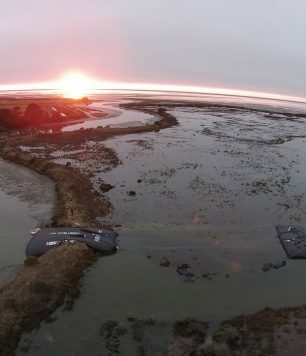 The AquaDam can isolate submerged work areas. Once isolated, the water can be pumped out of the work area (dewatering). Once dewatered, work in relatively dry conditions can begin, resulting in quicker and higher quality work. The AquaDam helps you protect the surrounding environment during your construction project. If you are working in a river or another body of water, you do not want sediment from your construction efforts leaking into the waterway. Strategic placement of AquaDams can help you to isolate turbid water within the work area, or divert rainwater away from your site. In the low-margin construction business, contractors must take advantage of any potential cost savings, and the amount of time and money you save using AquaDams in place of traditional cofferdam alternatives is something that should be seriously considered. 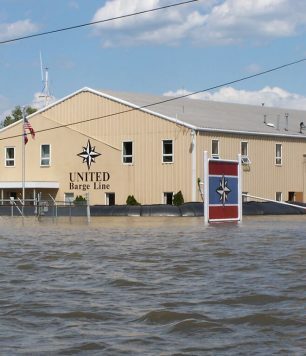 Climate change is bringing flood hazards to new areas, and increasing the hazard in existing low lying areas. 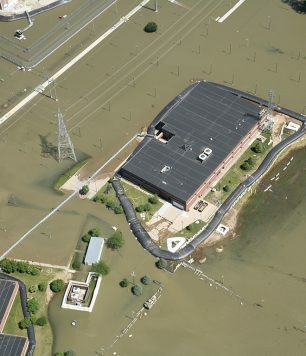 Historical FEMA and USACE Flood Plain Maps no longer accurately depict flood plain elevations. The likelihood of flood damage is increasing over time. As a homeowner or small business in a flood plain, you need a flood control plan that will protect your home or business. Placing AquaDam barriers around your home or business is a fast way to help prevent flood damage to your property. AquaDams give Municipal Emergency Response the capability of isolating roads that are prone to flooding, to help keep them open and usable for civilian or emergency traffic. Other vital infrastructure should also be considered for flood control, including Water Treatment Plants, Waste Water Treatment Plants, Electrical Power and Sub Stations, Hospitals, Police and Fire Stations. 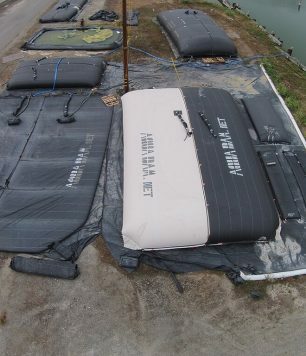 Placed on top of levees, AquaDams can also extend the levees effective height and may help prevent overtopping. 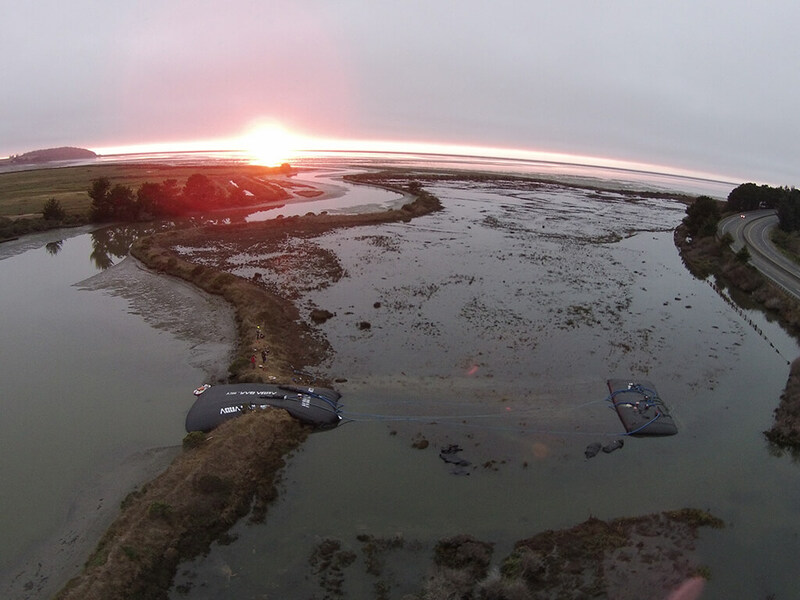 Flood waters can be unpredictable, and having an AquaDam in place is not a guarantee of success. Please contact AquaDam Flood Control Products to discuss flood control requirements of 3ft or less. Please contact AquaDam Inc to discuss flood control requirements of 3.5ft or greater. 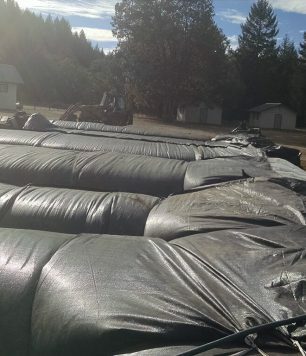 When you are looking for a convenient method for temporary, large scale, water storage, look to AquaDams. AquaDams can provide water storage for as low as $0.10 per gallon storage capacity. 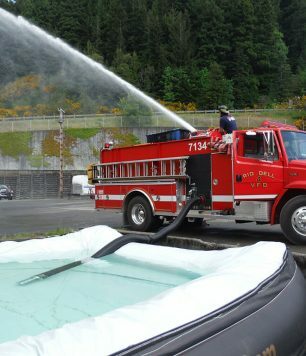 AquaDams can be used as “fully enclosed” water storage units, or can be used to form the perimeter of an above ground pond, liners and covers available as needed. 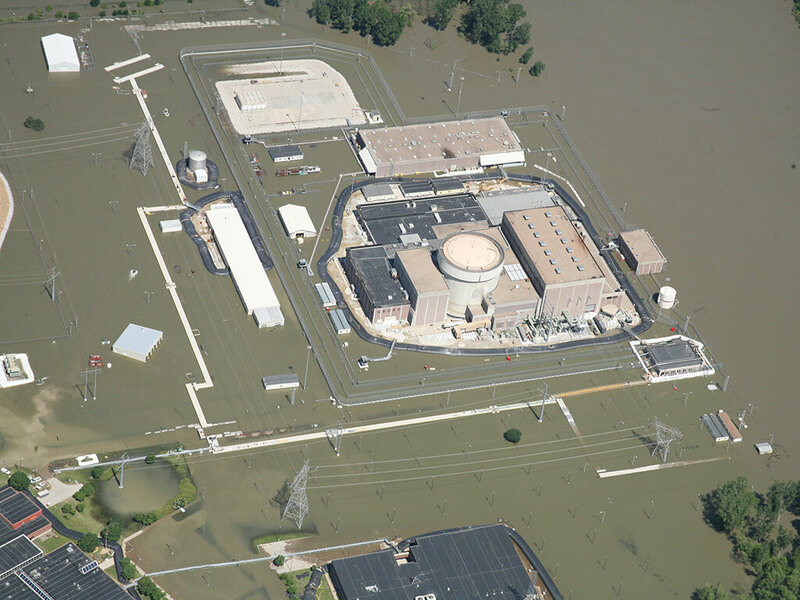 When you need temporary water control solutions, you need AquaDam. To learn more about AquaDam water-filled dams or to get a free quote, fill out our contact form or call us today at 1-800-682-9283. Special Applications is a new and novel way to use an AquaDam. 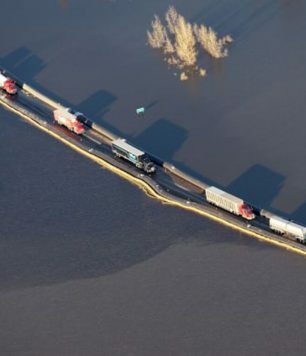 An AquaDam can be used as a solution to various problems that come up, for example the AquaDam has been used in special situations as a temporary bridge for trucks, a levee breach plug, a weight to proof-test a bridge after repairs and wherever temporary mass or weight is required. For water control or for other uses, the AquaDam is often a reasonable alternative to consider. Contact us with the tough problems, and we provide the novel solutions.